The option of controlling the fan speed and the satisfaction of silent computing were not always present when it comes to personal computers. The early x86 computers did not have active cooling because not much heat was generated, right until the introduction of the first 486 models. From that time and up until now, the computer power consumption and thermal dissipation have grown exponentially, as well as their performance. From the very first Pentium processors that were declared at 7W TDP, and all the way down to the modern day AMD FX 9590 processor that is rated at 220W, the cooling also had its own evolutionary path. TDP stands for “Thermal Design Power” and it is the maximum amount of heat generated by the processor. If you are to stumble upon an abbreviation that you don’t understand, take a peek at our “Liquid cooling glossary” page and you just might find the correct answer! 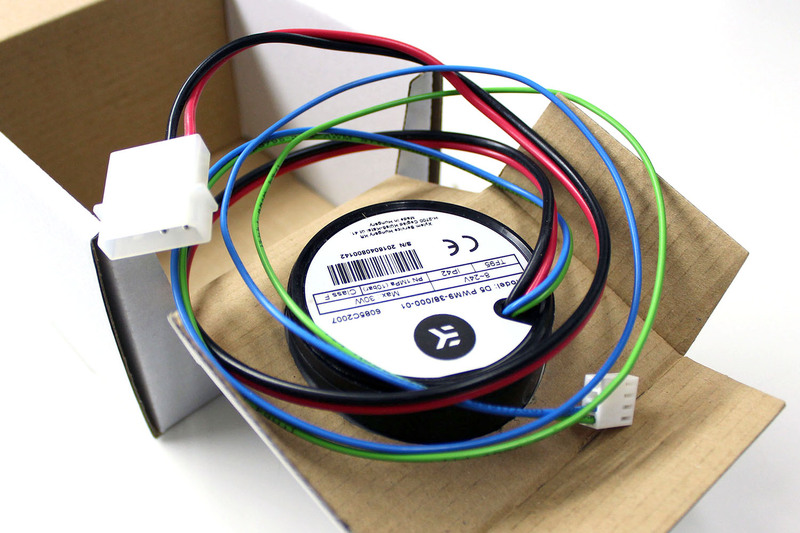 4-pin PWM header can automatically control the speed of your fans and pumps. Early homemade fan controllers used a simple “volt mod” by choosing 5, 7 or 12V from a classic molex connector. It was followed by the use of ordinary resistors to slow the fans down, fans equipped with thermal resistors, various potentiometers for a wide range manual speed control, etc. But nowadays, if you want to control the speed of your fans and pumps, PWM control is the way to go. Every mainstream motherboard that leaves the factory today is equipped with at least one 4-pin PWM header. High-end motherboards offer 4-6 or even more of these 4-pin fan/pump connectors, and the PWM system is a very effective and smart way to control the fans. However, even today, many years after the introduction of PWM in 2003, there are users that are still not familiar with its advantages. And worse, there are serious companies out there that make advanced and well-designed fans with old-fashioned 3-pin connectors. Therefore, we will explain what PWM actually is, how it controls the speed of fans and pumps, and we will also show you an example of a PWM profile in one of the software provided by the motherboard manufacturers. By the number of wires – pins that a fan has – we can distinguish three main types of connections. Fans with only two wires have only plus and minus (ground) connections and that’s it. The second type has three wires; two for powering the fan and one that carries the so-called “Tach” or tachometric signal (in English: the wire that gives a readout of the current fan speed). A signal is sent via this third wire with a certain frequency that is proportional to the fan speed, expressed in RPM (revolutions per minute). The third type of fans that use four wires are PWM fans and that is what will be discussed in this article, along with PWM pumps. 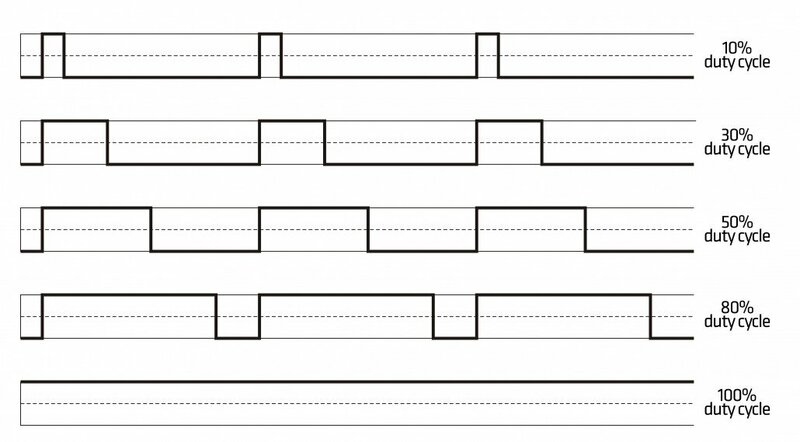 PWM (Pulse Width Modulation) or modulation with the width of an impulse, is a widespread term in the world of electrical engineering. It has a broad range of application, like in the field of telecommunications, audio equipment, servo motors, etc. 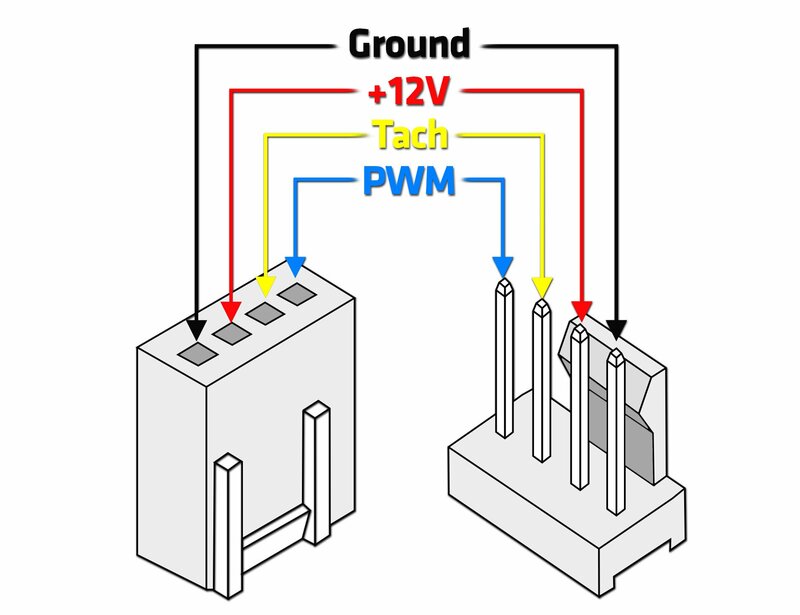 Interesting for us enthusiasts is the application of PWM in voltage regulation. If you’ve followed our recent blog article on MOSFETs and VRMs, you know what we are talking about. Some of you probably already know the principle on which pulse width modulation (PWM) works, but nevertheless, we will explain how it actually controls the speed of a fan or a pump. In short, PWM operates like a switch which constantly cycles on and off, thereby regulating the amount of power the fan or pump motor gains. The PWM system that is used for controlling fans and pumps works with the motor, either getting +12V (full power) or 0V (no power). To have a better understanding how this works, take a look at the chart bellow. So, the motor is being fed impulses of power. Imagine it the same way as if you were to turn the wheel with your hand. You can push the wheel every 5 seconds with the same amount of force, and you will keep the wheel spinning. You can also speed up the interval when you are pushing the wheel; let’s say you nudge it every 3 seconds. In that case, you would notice that the wheel is spinning a bit faster, and in almost the same way is how the Pulse Width Modulation works. The speed of the motor, i.e. the fan or pump, is determined by the width of the PWM signal – the length of the time it is powered on. As seen on the chart above, a 10% duty cycle gives just a few impulses of power over a period of time, meaning that the motor will spin slowly, and a 100% duty cycle means that the fan/pump will work at full speed, constantly being powered on. It is important to know that there is no voltage regulation involved here, and by using PWM regulation the motor is constantly being fed 12 volts. For that reason, the 4-pin motherboard header should be used only for one fan, or eventually two, by using the Y-splitter. Pumps for water cooling have significantly bigger power consumption, so the power is mostly hooked up to the molex connector, and the other two tach and PWM wires are connected to the motherboard header for PWM control and speed readout. If no PWM signal is present, almost all fans will work on 100% of power, while most pumps used in water cooling will operate at some medium speed. Meaning, if you want to run the pump on full power, you need to hook it up to a PWM signal that is set on 100% duty cycle. More quality fans have their own special IC driver chips within the motor hub that generate a sloped PWM signal instead of a flat square one. Flat square signals tend to create unpleasant clicking noises when the fan runs at low speeds. The sudden rise of power when the motor is given +12 volts results in the rotor being jerked, which in some cases creates the clicking sound. The use of special ICs makes sure that the motor is powered on more gently each time an impulse is given. This is not something you really need to know, but it’s here for you to understand why quality PWM fans cost a bit more. Why is PWM so important? Well, almost all fans „die“ if the voltage is lowered under 5V, but with PWM control, the fans can reach really low operation speeds of 300-600 RPM. They don’t die literally; they just shut down and stop spinning, and that is why often the declared speed range of the fan can only be achieved by using PWM regulation. At these speeds, the fans are dead silent, and some fans can even be turned off completely via PWM regulation. One more very cool thing about PWM regulation is that you can use one PWM signal to govern all of your fans. 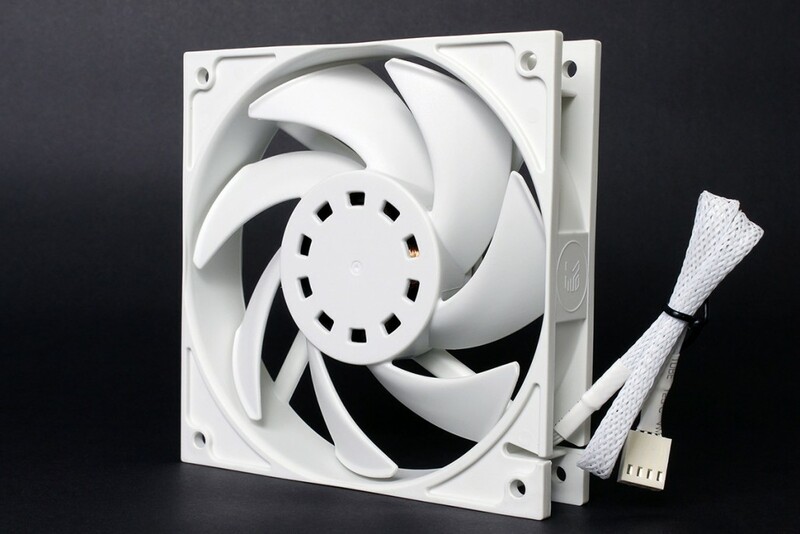 Since the fans are getting 12 volts all the time, you can use special fan hub splitters that will send one PWM signal to all of the connected fans or even pumps. This way, all of your fans and pumps will work in harmony. Let’s take a look at some software that motherboard manufacturers provide for PWM regulation. Almost every motherboard manufacturer has got the PWM regulation story very serious, and that’s why we have very detailed settings available, which is really good. All your „noise producing“ components can be kept at low speeds and you can set the PWM duty cycle curve according to the temperature readouts. 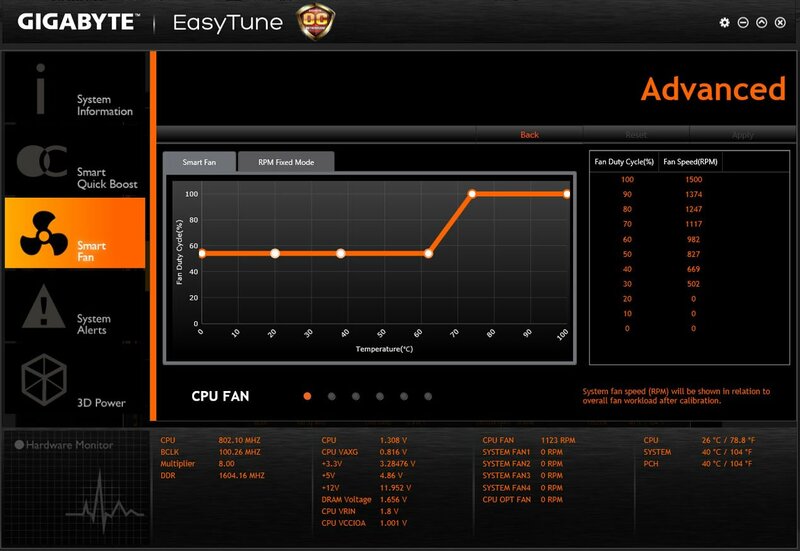 In the Gigabyte EasyTune example given above, the PWM profile is set to run the fans on about 55% of speed when the CPU temperature is 60°C or lower. When the temperature reaches 70°C, the fans will speed up to 100% duty cycle. Simple and very efficient way to get a silent computer, of course, if you are equipped with quality PWM fans and quality PWM pumps. Thats a very good Read !!!! So I currently have my EK ddc pwm wire plug’ed into CPU FAN 1 and my and Silverstone PWM fan hub controller plug’ed into CPU FAN OP ////// “ASUS Sabertooth tuff series R 2.0” just an fyi //// Now if I understand you correctly I can unplug the DDC PWM wire plug it into the Siverstone PWM fan hub and then Un plug the Silverstone PWM wire from CPU OP and RE plug it into the CPU FAN and then I woud have all things running in sync ? 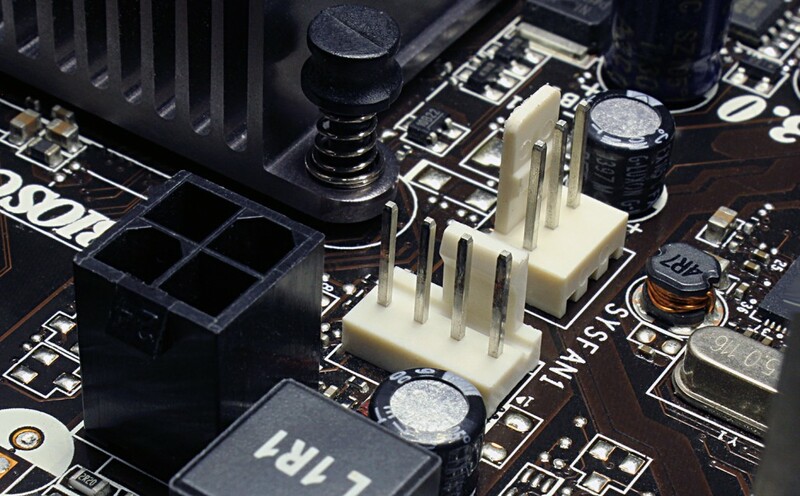 I never understood why they preferred to add a 4th pin for the PWM to the connector and have the fan use that signal to regulate its power, instead of simply directly regulate the +12V line on the motherboard, eliminating the fan compatibility requirement. Voltage regulation is very limited since most fans just shut down if the voltage falls under 7 or 5V, depends on the fan model. Having the speed regulated with PWM, it means that it is always getting 12V of power, but in little packets. This way the fan can reach slower speeds than if it was regulated by voltage.